A new Harvard report reveals that black and Latino students who have similar MCAS scores as their white and Asian classmates still face hurdles preventing admission to the city's top exam schools. As the city of Boston continues to confront issues regarding race and diversity, a new Harvard report reveals that black and Latino students who have similar MCAS scores as their white and Asian classmates still face hurdles preventing admission to the city's top exam schools. The Rappaport Institute for Greater Boston at Harvard Kennedy School of Government's policy brief, which was released Tuesday, found that while black and Latino students make up nearly 75 percent of Boston Public Schools' student population, but only 40 percent are enrolled in the district's three exam schools — Boston Latin School, Boston Latin Academy and O'Bryant School of Math and Science — and only 20 percent attended Boston Latin School, concluding that the "exam schools' student bodies do not reflect the diversity of the wider district." The obstacles for these students, according to the report, start with the application process, which requires students to take a different test designed for private schools. The test covers a wide array of subjects in literature and mathematics; however, not all of the subjects are taught in a Boston Public Schools elementary classroom, the report said. Josh Goodman, a professor of Public Policy at Harvard University, worked on the study for months. He said while it consisted of complicated data collection and numbers, the results are very clear. "The main point of this study was to identify where in the pipeline in the admissions process we lose high achieving students of color," Goodman said. He added that schools in Boston that require a separate admissions exam like Boston Latin Academy and O'Bryant are leaving some students behind. "We show that we lose them because some choose not take the exam and when they do take the exam they don't have access to the kind of test prep that you need to do well on the exam," Goodman said. 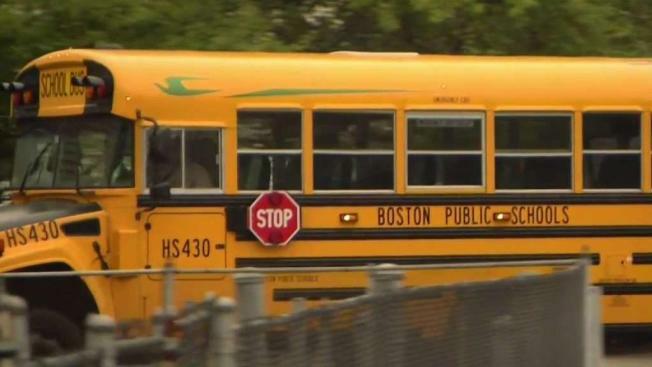 Boston city officials say they already knew students of color weren't taking the exam at the same rate their white classmates. "It's not just about taking the test. It's preparing young people to take the test because it's a very complicated test," said Boston Mayor Marty Walsh. "So many students from highly motivated higher income families spend a lot of time prepping for this test outside of school and that puts lower-income students at less educated families at a real disadvantage." The Boston Globe reports that additional outside factors, such as families without the means to pay for outside tutors and testing programs, could also hinder a student's chance at being accepted at an exam school. To combat the diversity gap, the report recommends a number of interventions, including assigning students to schools based on fifth grade MCAS scores. "The results of the Rappaport Institute's research are useful in helping BPS continue to identify barriers to the district's three exam schools for students from traditionally marginalized groups, along with potential interventions to eliminate those barriers," a Boston Public Schools spokesperson said in a statement.